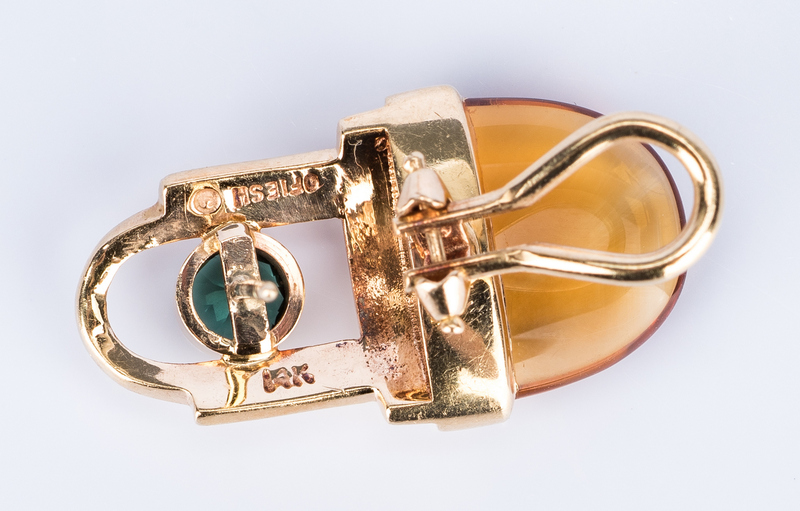 Two (2) pairs of 14K designer gemstone earrings. 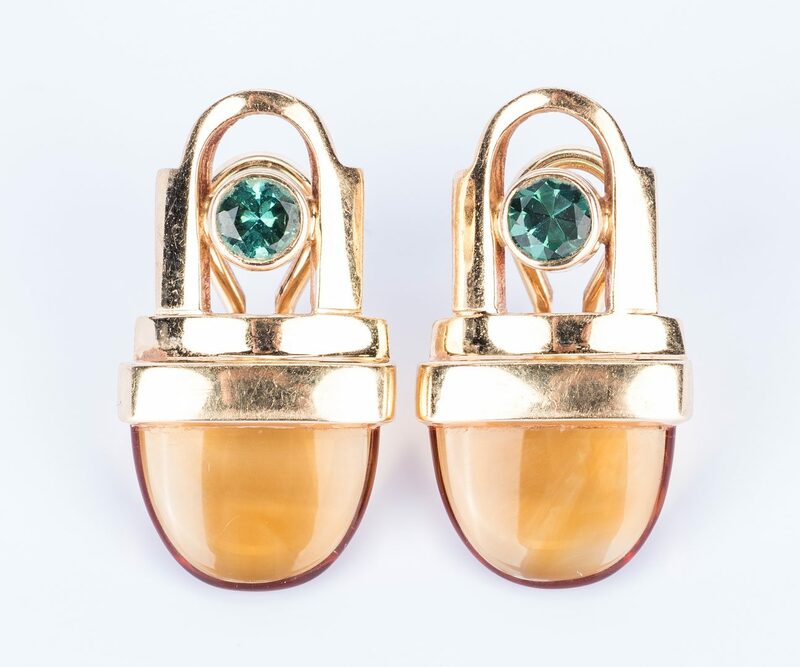 1st item: Pair of 14K yellow gold Piaget Possession diamond hoop earrings, satin and bright gold with inset diamonds, maker's mark "P", 585, 14K inside hoop, 3/4" H, 7.4 grams. 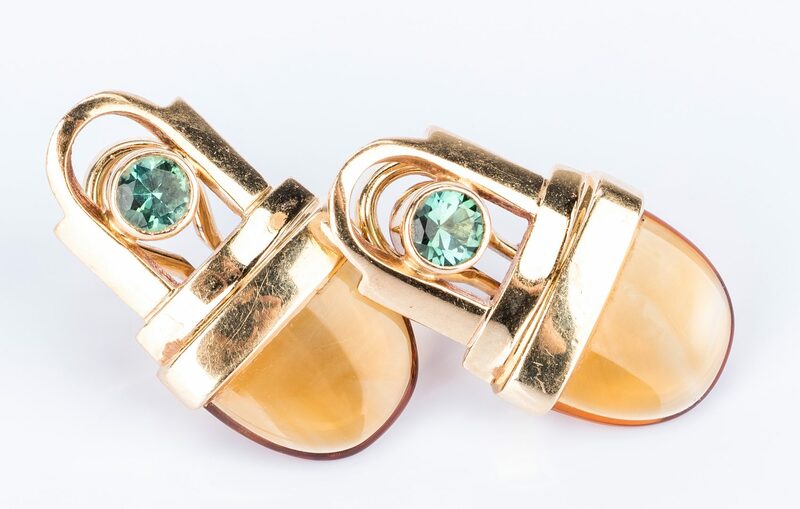 2nd item: Pair of 14K yellow gold Gabriel Ofriesh designer earrings with green tourmaline and citrine semi-precious stones. Maker's mark and 14K on back. Post/clip for pierced ears. 1" H, 8.4 grams. CONDITION: Both pair in very good condition.